Songwriter and comedy writer extraordinaire Alan Katz has turned those and other old favorites on their ears and created new nonsense songs kids will love. With zany, spirited pictures by illustrator and cartoonist David Catrow, this kooky collection guarantees laughs and plenty of silly dillyness for kids everywhere! Take Me Out of the Bathtub and Other Silly Dilly Songs. 2001. I’m Still Here in the Bathtub; Brand New Silly Dilly Songs. 2003. Where Did They Hide My Presents? Silly Dilly Christmas Songs. 2005. Are You Quite Polite? Silly Dilly Manners Songs. 2006. Smelly Locker; Silly Dilly School Songs. 2008. On Top of the Potty and Other Get-Up-And-Go Songs. 2008. Too Much Kissing! And Other Silly Dilly Songs About Parents. 2010. Mosquitoes Are Ruining My Summer! And Other Silly Dilly Camp Songs. 2011. 1. 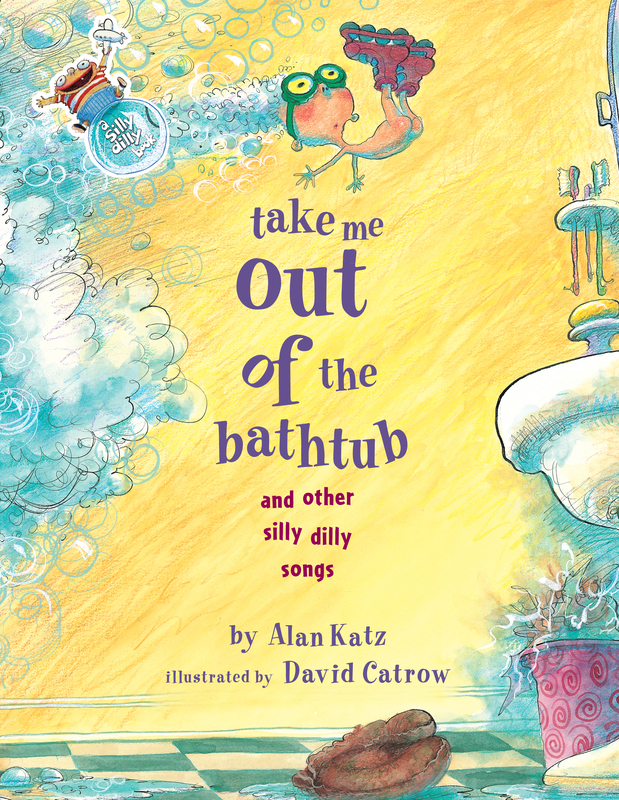 What are some of the ordinary familiar moments at home that the author, Alan Katz, turns into Silly Dilly songs in Take Me Out of the Bathtub? 2. Why do you think the author calls these songs “silly dilly” songs? 3. In some songs in I’m Still Here in the Bathtub, the author, Alan Katz, “parodies” the usual lyrics of the song. For example, he uses “He’s got the whole beach in his pants” instead of “He’s got the whole world in his hands.” That’s called a “parody.” Can you locate other examples of this kind of parody? 4. In “The Meals at My Camp,” the illustrator, David Catrow, shows an unusual creature made of several different animals and foods running from a camp. Which foods can you identify in the picture and the song? Have you ever had “yucky” foods at camp? 5. What does Katz warn us to beware of in the Silly Dilly song, “There Are Lots of Things I Will Warn ‘Bout Christmas” in Where Did They Hide My Presents? Silly Dilly Christmas Songs? 6. Which activity do you like better, trimming the Christmas tree (“Twim the Twee”) or looking through catalogs (“Toy Catalogs”)? Why? Does the Silly Dilly song help you decide? Which is worse, freezing while caroling (“We’re Caroling”) or getting stuck in Christmas crowds (“Pick Me Up!”)? Why? Does the Silly Dilly song remind you of your experiences with caroling or crowds? 7. In Are You Quite Polite? Silly Dilly Manners Songs, the author features proper behavior in several situations: at home, at school, at the dinner table, at a birthday party, and in the library. Which situation is the most challenging for you to remember your manners? Which Silly Dilly songs reflect which situation (home, school, dinner, parties, the library)? Can you match them? 8. Which of the Silly Dilly poems in Are You Quite Polite? shows us how good manners can help stop germs from spreading and keep everyone more healthy? 9. In “Rules, Rules, Rules,” the Silly Dilly song includes many, many things we should not do. Do you agree with the last line of the poem? Does following rules mean not having fun? Does being a kid mean having no rules? 10. Sometimes the author turns the tables and it’s the grown ups who are being Silly Dilly. Who is getting all the advice in “Tomorrow Is Our Class Picture Day!”? 11. Which school topics does the author include in this collection of Silly Dilly songs, Smelly Locker; Silly Dilly School Songs? Which of these school experiences have you had (lockers, backpacks, tests, homework, hall passes, band, picture day, lunch, lost and found, recess, math, passing notes, oral reports)? Which were good experiences and which were not-so-good? 12. When you think back about being very small or remember how younger brothers or sister behave, what do you think is the most difficult part about learning to use the potty? Which challenges does Katz include in the Silly Dilly songs in On Top of the Potty and Other Get-Up-And-Go Songs? 13. In the poem, “Scrub, Scrub, Scrub Your Hands,” the poet reminds us about the single most important thing we can do to help stop spreading germs. What is that? 14. In Going, Going, Gone!, some of the songs are about winning at a sport, some about losing, and some about just trying it out. Which is the most interesting to you and why? 15. In “Tennis is a Complicated Sport,” the poet reminds us that each sport has its own terminology or lingo we have to learn as we learn the sport (like the meaning of “love,” “racket,” and “match” in tennis). Which sports terms can you identify in the other poems about other sports, such as baseball, soccer, swimming, archery, fishing, golfing, skating, cycling, football, or bowling? 16. In several of the Silly Dilly songs in Too Much Kissing, especially “Mind Your Reminders,” we get a list of chores that kids are often responsible for. What do those usually include? Which are your responsibility? 17. There is a surprise at the end of “My Mother Just Rushes Through Bedtime.” Can you figure it out? Why do you think the author ended the song this way? 18. What are some of the most hilarious and humorous experiences at summer camp that the author, Alan Katz, turns into Silly Dilly songs in Mosquitoes Are Ruining My Summer? Which are some of the most awful? Can awful experiences become hilarious? How? 19. Which Silly Dilly camp songs start with a good feeling or happy experience, but then end with a surprise twist? 20. In the title Silly Dilly song, “Mosquitoes are Ruining My Summer,” what finally helps prevent mosquito bites? And what “side effects” occur? The Silly Dilly collection is based on songs, so start by singing them! If you don’t know the tunes designated for each Silly Dilly song, ask a grown up or research it on the Internet. See if you can locate the sheet music for some of the song tunes and find someone who can play the tune on the piano (or another instrument). Ask a music teacher about adding percussion instruments (tambourine, triangle, etc.) to a sing-along of Silly Dilly songs. If you want to go all the way, make a list of all the song tunes used in the Silly Dilly songs and make up more Silly Dilly songs of your own to accompany the familiar song tunes. As an extra bonus, work with a special education teacher or sign language interpreter to add motions or American Sign Language (ASL) to your performance. Turn ordinary familiar moments into Silly Dilly songs. Try a parody of a familiar song lyric or rhyme. Start by listing good things, then list bad things (or reverse that). Finish with a surprise ending. Think about listing warnings, cautions or rules. Alan Katz takes familiar moments at home like taking a bath, changing the TV channel, or having a babysitter and turns them into Silly Dilly songs. Identify other after-school experiences that could be turned into Silly Dilly songs. Work with a partner or as a whole group to brainstorm the topic, choose a song tune, make a list of details, write 2-3 stanzas, and fit the words to the rhythm of your chosen song tune. (Don’t necessarily worry about rhyming.) Then sing your new Silly Dilly song! The illustrations of David Catrow fill the pages of ALL the Silly Dilly songbooks. His unique and distinctive style is strong on exaggeration, caricature, and expressive cartoon characters all in wild splashes of vivid color. Try your hand at imitating his art by creating a new cartoon scene for one of your favorite Silly Dilly songs (or a new Silly Dilly song of your own). To create your own kid Catrow Silly Dilly character, start with a lemon-shaped head, add a long skinny neck, plus a triangle-shaped body, thin arms, and short legs-- the zanier the better. Or try making paper plate faces based on Catrow’s characters to hold up while singing Silly Dilly songs aloud. Add googly eyes and wild and crazy yarn hair to the paper plate “masks” just for fun. Videotape and share your performance. Consider creating your own Silly Dilly blog site to share your performances of Silly Dilly songs or your own original Silly Dilly songs. Guide created by Sylvia M. Vardell, Ph.D. Professor at Texas Woman’s University’s School of Library & Information Studies. This reading group guide has been provided by Simon & Schuster for classroom, library, and reading group use. It may be reproduced in its entirety or excerpted for these purposes. 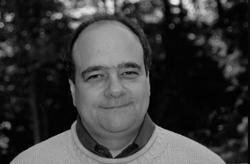 Alan Katz has been a print and television comedy writer for more than twenty years. In addition to being a multiple Emmy nominee for his work on The Rosie O’Donnell Show and Disney’s Raw Toonage, he has written for children’s programming on Nickelodeon, ABC Television, Warner Brothers Animation’s Taz-Mania, and many others. Alan is the author of several adult humor books; he has written humorous essays for The New York Times and other publications. Alan lives in Weston, Connecticut, with his journalist wife, Rose, and their children Simone, Andrew, Nathan, and David. Visit him online at AlanKatzBooks.com. David Catrow is the illustrator of numerous notable books for children, including the other Silly Dilly books, as well as Kathryn Lasky's She's Wearing a Dead Bird on Her Head!, which was named a New York Times Best Illustrated Book of the Year. Mr. Catrow is also a nationally syndicated editorial cartoonist whose work appears in the New York Times, the Los Angeles Times, and the Chicago Sun-Times, as well as in nine hundred other newspapers. He lives in Springfield, Ohio. Rosie O'Donnell As a kid who grew up thinking "Baby, baby, stick your head in gravy" was the national anthem, I really like how Alan Katz and David Catrow have written and illustrated such funny songs! Kids of all ages are gonna love the new lyrics to their old favorite tunes. It doesn't get any silly dillier than this!